On July 31, 2017 I published the following post on Book Riot. Rome. Athens. Memphis and Thebes. Ramses II. Nefertiti. Julius Caesar. Cleopatra. Aristotle. Sappho. Cyrus the Great. Democracy. Oligarchy. Republic and Empire. Societies and people long gone and still they tickle our imagination. Ancient history as a scholarly endeavor came into existence during the time of the European empires. The imperialists of Great Britain, France, Italy, and Germany looked to the distant past for validation and wrote their history accordingly, resulting in a research field dominated by white men focusing on Rome and Greece. But things are beginning to change. Ancient history and Classical studies are becoming more inclusive. The ancient histories of Persia, India, present-day Iraq and Sudan and their influences on Rome and Greece are being acknowledged. The white dominance among Classicists is being challenged. 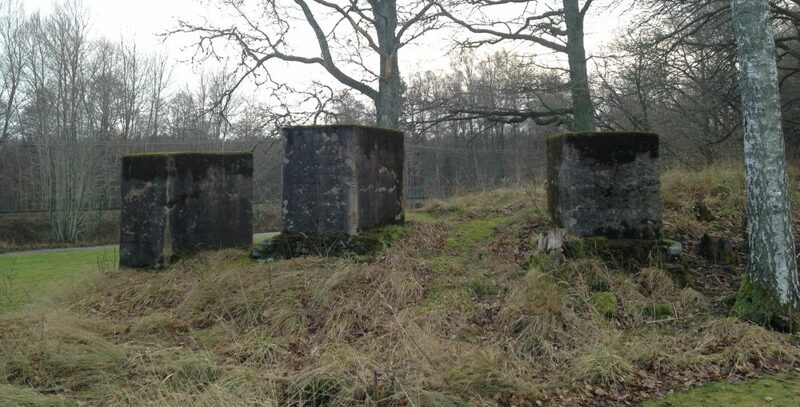 Inter-disciplinary research projects bring together the disciplines of history and archaeology. This list of 100 must-read books about Ancient History reflects these changes. Prepare for your TBR list to explode. On April 11, 2017, I was interviewed by the blog Geek Dad/Geek Mom. We talked about racism and diversity in speculative fiction, about the state of the art in historical research, and how to locate trustworthy sources when you do your own historical research when writing speculative fiction. And of course, I recommended some books. And referenced Stargate SG-1. 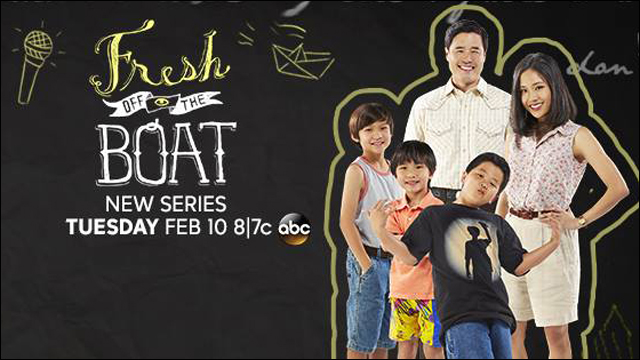 As the first TV show with an Asian American main cast in over two decades, much is at stake for ABC’s sitcom Fresh Off the Boat. So much so that before the pilot had even aired, the show was described as “historic.” The reason for this description is the fact that because of the lack of Asian American characters, regardless of being in leading or supporting roles, the success of Fresh Off the Boat will potentially determine Asian American network representation for years to come. As an historian I take an interest in the description of Fresh Off the Boat as “historic.” Whenever something is described as “historic,” my initial reaction is to object to the use of that word. Looking to the past to make predictions about the future goes against everything that historical research is about. The only way we can say anything about the significance of an event is by relating the event in question to other similar events that have already taken place. In other words, the way to determine the significance of Fresh Off the Boat from an historical perspective is to contextualize it within a discussion on how minorities in general, and Asian Americans in particular, have been represented on scripted network television shows over the years. In the following discussion, I will focus on scripted TV shows with a diverse main cast broadcast by the three major networks of American television, i.e. NBC, CBS, and ABC. There are two reasons for this. Firstly, these three networks are the oldest of all the TV networks available to the American public today. Therefore, they provide a time span long enough for performing an historical analysis. Secondly, these three networks reach the most viewers on a daily basis. With the exception of AMC’s The Walking Dead, the most watched shows on American television are broadcast on these three networks. Some of the TV shows mentioned below are problematic in how they portray the minorities they set out to represent. My discussing these TV shows does not mean I endorse these portrayals in any way. NBC was founded in 1926 as a radio network. In 1939, NBC expanded into television. On February 18, 2015 I completed a survey of the shows stated as current on nbc.com. Of these shows, one had a diverse main cast—Saturday Night Live. In the past, NBC has been the home of several iconic diversely cast TV shows, e.g. I Spy (1965–1968), Star Trek (1966–1969), Sanford and Son (1972–1977), Diff’rent Strokes (1978–1986), The Cosby Show (1984–1992), A Different World (1987–1993), The Fresh Prince of Bel Air (1990–1996), and Community (2009–2014). Several of these shows had an African American main cast. As far as I have been able to determine within the scope of this investigation, NBC has never broadcast a TV show with an Asian American main cast. In 1927, CBS began as a radio network and branched off into television in 1941. In the survey I did on February 18, 2015, of the current shows listed on cbs.com, I identified twelve shows with a diverse main cast. However, of these twelve shows only three had a person of color as the lead actor. 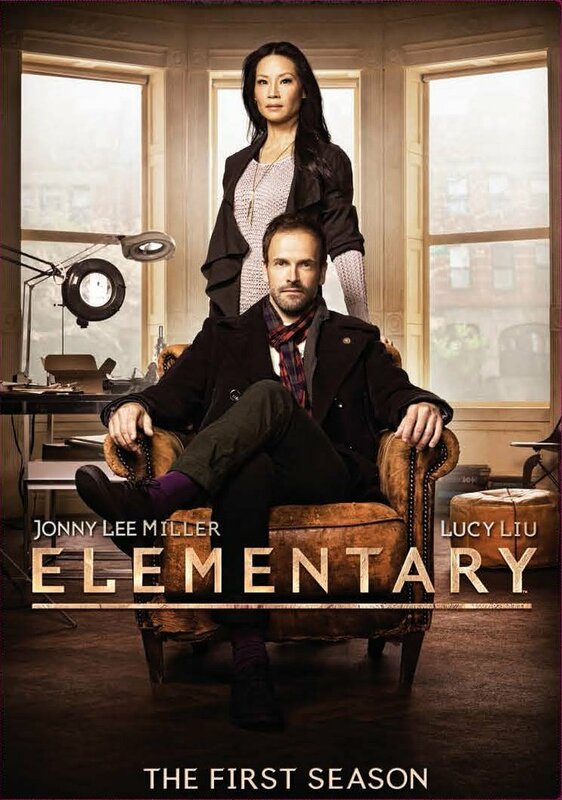 Two of them were African American (Halle Berry in Extant and LL Cool J in NCIS: Los Angeles) and one of them was Asian American (Lucy Liu in Elementary). For the past few decades, CBS has been the home of several TV shows with a diverse main cast, e.g. Hawaii 5-0 (1968–1980), Good Times (1974–1979), The Jeffersons (1975–85), and Martial Law (1998–2000). Good Times and The Jeffersons had an all African American main cast and Martial Law had an Asian American leading actor. 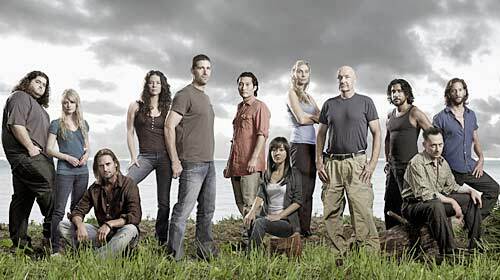 Meanwhile, Hawaii 5-0, both in its original and its rebooted (2010– ) form, stars a diverse main cast that include Asian Americans. Youngest of the three major networks, ABC launched as a radio network in 1943 and went into television in 1948. In the February 18, 2015 survey of abc.com, I identified thirteen shows listed as current and with a diverse cast. Of these thirteen, nine had one or more persons of color as lead actors (Blackish, Cristela, Fresh Off the Boat, Galavant, How to Get Away with Murder, Agents of SHIELD, Modern Family, Scandal, and Selfie). Moreover, three of these nine shows had a main cast consisting only of persons of color (Blackish, Cristela, Fresh Off the Boat). Over the years, ABC has had several TV shows with a diverse cast. Unlike NBC and CBS, these shows have predominantly been cast with Asian American actors, e.g. The Green Hornet (1966–1967), Barney Miller (1974–1982), Mr T. & Tina (1976), Gung Ho (1986–1987), All-American Girl (1994–1995), and Lost (2004–2010). Three conclusions can be drawn from the survey done on NBC, CBS, and ABC. First of all, NBC seems to have relinquished its role entirely as a network where diversely cast TV shows can find a home. Instead, ABC seems to be carrying the torch at present. Second, the diversely cast shows on NBC and CBS were predominantly African American. In the case of NBC, the number of African American shows does not seem to be because of a network policy, but rather because of the network’s collaboration with Norman Lear and Bill Cosby, respectively. After NBC and CBS stopped producing shows with all African American casts, the number of persons of color in supporting roles seems to have increased. The number of leading roles for persons of color has not. At present, the diversely cast shows on ABC represent several minorities, both as leading actors and as supporting actors. On the other hand, in the past, ABC seems not to have produced any African American TV shows of lasting significance. Third, the absolute majority of all known TV shows starring Asian Americans as leading actors have been produced by ABC. Where does this leave Fresh Off the Boat? If you put Fresh Off the Boat into a network television context in general, the show is indeed something of a rarity. Asian Americans as a group are poorly represented on television. However, put Fresh Off the Boat into the context of ABC over the past fifty years and it becomes the network’s latest attempt in representing the Asian American community. Several of these previous attempts by ABC to represent Asian Americans have been failures. The characters were played according to stereotypes and as a consequence the ratings suffered which resulted in early cancellations. However, with 6.1 million viewers and a 1.9 rating in its third week, Fresh Off the Boat could very well be the show that will survive. Bearing in mind that the last TV show with an Asian American cast aired in the mid-1990s, Fresh Off the Boat being broadcast on one of the biggest networks in the United States is of great significance. However, only time will tell if the show will turn out to be historic.